Your guests have a good time, your VIPs are better off: They use services that "normal" hotel guests have to pay dearly. Any extra work has its price. But the bottom line is that he pays off - for the guests, for the hotel or restaurant, for the image. It is part of the adequate care of the special customers (VIP customers), that their representatives (whether private person or company bosses or board level) wants to get the most pleasant, exclusive and personal atmosphere. However, VIPs are also people. Nevertheless, they are used to being treated preferentially. The staging is always part of it. The food in the noble setting of a fine restaurant or in a noble hotel is always part of an atmospheric work of art of the master of the hotel, interior designer and the offered table culture. Although guides Michelin and co always point out the opposite, it's all about the culinary arts in their judgments ... definitely not! An elegant ambience, a well-kept table culture, an attentive service, matching wines, elegant porcelain and wine goblets matched to the grape varieties - all this is part of it if you want to inspire its guests and win permanently. But our idea of what that looks like is constantly changing. The carving of a roast or filleting a fish at table was certainly one of them in previous years. Today the special decadence is announced. On the sophisticated table and glass culture with different glasses for different wines and differentiated porcelain pieces value is placed. The arrangement of a variety of cutlery around a platter seems just as timely (as in "Pretty Women" - the scene with the business lunch). Luxury has several dimensions. It's not just about the taste, but also about the exclusivity. Real luxury is always a total work of art. 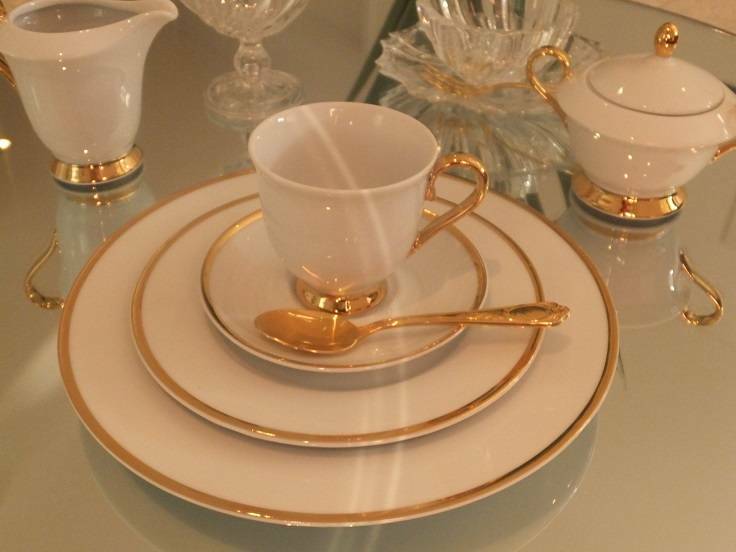 A refined porcelain for your suite - guests or serving food on the special dinner service - your VIP guests appreciate it and will certainly not take it as a matter of course.